Apologies to squeamish readers who may find themselves upset by this violent tale. But it’s all in the name of a good cause: Eggcups in my shop. Check ’em out. ooh! and i love how your eggcups stack to make a picture! very clever!! Absolutely brilliant! Very clever indeed! Love the stackable picture! Hope you sell tons! Laughed my head off seeing this!!!!!! Hilarious. I went and viewed your new eggcups, so cute. I will restrain myself, though, as I already have quite a few. You are cracking me up (HA!) with the egg tales over here 🙂 The egg cups came out beautifully. OMG! Funny. How long did it take to put that post together..? such fun! 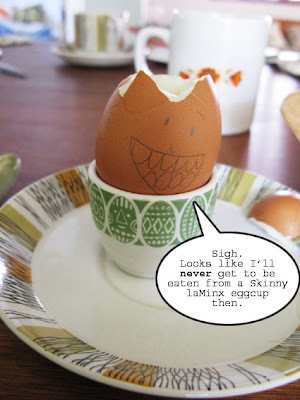 And I don’t blame the poor egg for wanting to meet its end in style in one of your egg cups! hold on you have way too much time on your hands!!! 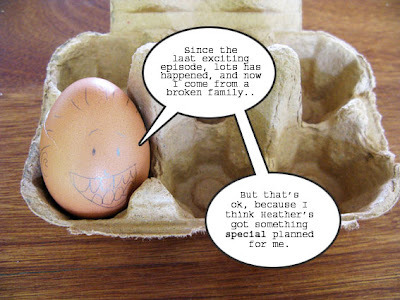 i can’t think of a better way to introduce your eggcups, super fun! 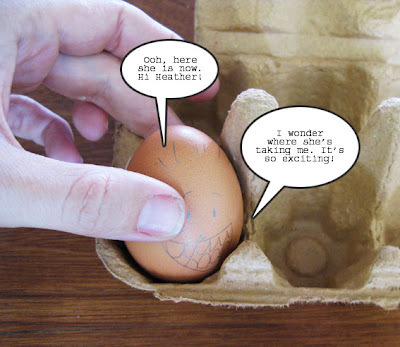 I love this egg cartoon …hilarious !! 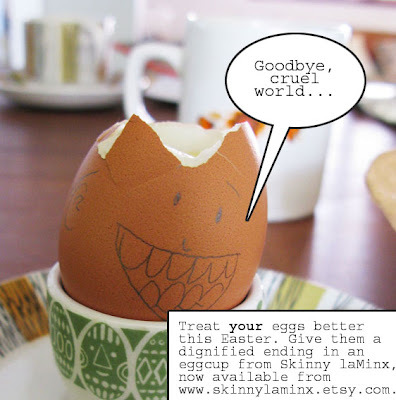 The best advertising for your egg cups !! 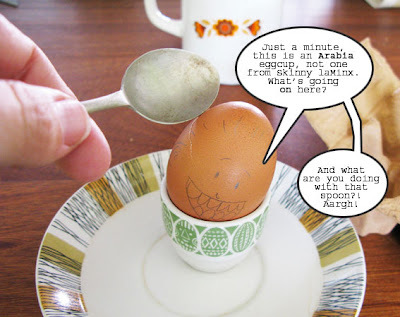 I love that little eggcup!